Although the holiday season has come and gone, music for fluent minds is always appreciated throughout the year. We find this to be the case with the musical expertise of composer, singer, and songwriter Erik-Peter Mortensen. Based out of New York City, Erik-Peter is admired by lovers of classical music and avant-garde melody for the inventive qualities that he is able to infuse in every composition. The recent release of his holiday album, entitled, Venite Adoremus is a sparkling testimony of the maestro’s genius. Comprised of thirteen classical tracks, Venite Adoremus is truly a musical path to the heavenly heights of poetic chorale. Each composition is crafted to sonic precision by the insight of a musical veteran overseeing the helm. Erik-Peter bestows a lovely time capsule of eloquent movements that are fit for any joyous gathering. 1- O Come all ye Faithful-Christmas Madrigal: Erik-Peter opens the album with this lovely and familiar concerto of Christmas joy. It is a blissful presentation that features a refreshing chorus of harmonies that sets a signature of excellence upon which the rest of the album follows. 2- Missa “Auld Lang Syne”: Kyrie – Very invigorating piece that casts a deep impression due to its operatic talent and emotional depth. 3- Missa “Auld Lang Syne”: Gloria – An enchanting allegro set upon a bright landscape through its subtle stringed-instrumentation. 4- Bach to the Future: Fugue in G-Sharp Minor (Subject on the Theme “Masters in This Hall”) – Certainly a break from the compositions prior, Erik-Peter is able to capture our attention with this lovely instrumental that calls upon the language of the harpsichord and its creation of a joyous mood. 5- Magnificat Octavi Toni – Very well executed and filled with a sunny essence, this is certainly one track where I am reminded of the eternal beauty of song. 6- Hark! the Herald Angels Sing: Christmas Madrigal – For those who take joy in the life of Jesus, Hark! The Herald Angels Sing is filled with a picturesque harmony that fully accentuates a cathedral gathering. 7- Bach to the Future: Fugue in F-Sharp Major (Subject on the Theme “Hark! the Herald Angels Sing”) – This all too familiar treat is reinvented in the grace of holiday cheer while remaining consistent to the precepts of early music. 8- Chorale Prelude in F Minor: “We Three Kings of Orient Are” – Erik-Peter’s crafty genius reinvents itself once again in this amazing selection that warms the soul like a breath of fresh air. Listeners get to observe the exotic execution of composition based on the wide range of instruments that appear on Venite Adoremus. 9- Missa “Auld Lang Syne”: Sanctus – An intense effort that blossoms into a beautiful cantata and filled with atmospheric resilience. 10- Bach to the Future: Triple Christmas Fugue in G Major (Original Subject and Countersubjects on the Themes… – This handsome production is one of the album’s treasured gems, which features a lovely array of wind instrumentation. 11- Hodie Christus Natus Est – Performed as a measure that exemplifies the Renaissance era, this whole production proves to be a moving piece that makes food for thought a melody of the heart. 12- Bach to the Future: Fugue in A Major (Subject on the Theme “We Wish You a Merry Christmas”) – Presented as a symphony of chimes, this reinvention of popular Christmas classic is amazingly transcendent. 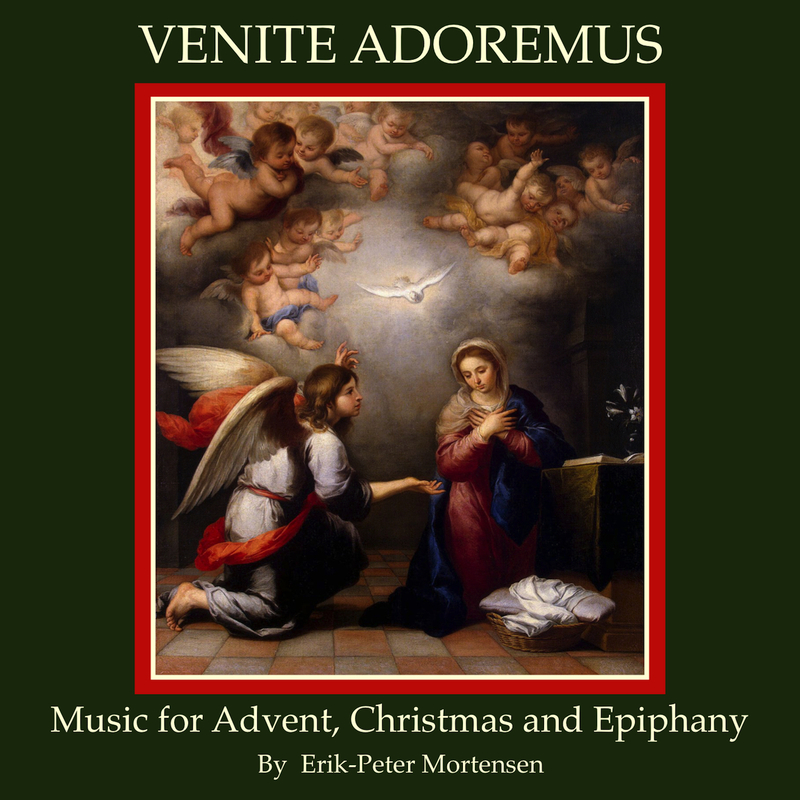 Venite Adoremus proves to be the perfect expression of holiday chorale that can be enjoyed throughout the year. Erik-Peter Mortensen offers an intrinsic collection of classical gems that turn out to be a work of perfection.